WCM Opening Keynotes & Closing Panel: For the 15th time, warranty industry professionals are heading to the annual WCM Conference, convening this year in Orlando, Florida. Over the course of three days, industry thought leaders are scheduled to delve deep into topics such as warranty fraud and the Internet of Things. Midyear Computer Industry Warranty Report: Even though numerous industry players have been acquired or have gone private, the remaining manufacturers have continuously cut their warranty expenses from one year to the next. But then along came the iPhone, and now Apple's frequent ups and downs are dominating the industry's statistics. Service Contract Pricing: Refrigerators: The bigger the refrigerator, and the more it costs, the lower the ratio between its list price and the price of protecting it for a given length of time. And the longer the duration of coverage, the more it will cost, though the industry-wide ratio isn't close to a straight line in terms of cost per year. Service Contract Regulation Seminar: In addition to the customary annual update on service contract laws, regulatory actions and civil cases, attendees at the WCM Conference this year will get a detailed look at the CFPB and a snapshot of how service contract regulations work in Canada. 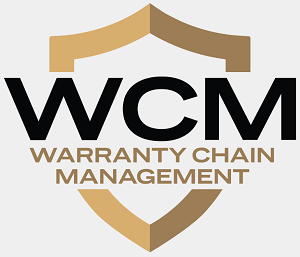 Warranty Experts: Attendees of this year's WCM Conference will have a rare chance to not only learn from the experts, but to engage them in lengthy question and answer sessions about the past, present and future of the warranty industry. And those who haven't learned how to be in two places at once can watch it all later on video. 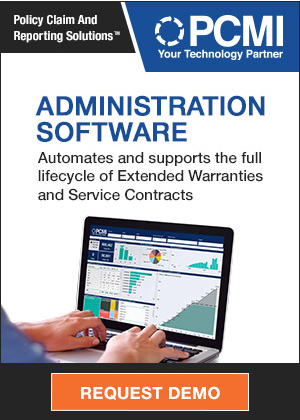 Warranty Report: Though there is a strong seasonal pattern that drives their warranty costs up in the summertime, companies in this sector have generally been able to reduce those costs from year to year. Even the companies making warranty-intensive X-ray and laser equipment have been cutting costs in recent years. Computer Warranty Report: After years of cost cutting, warranty expenses remained low last year and look to stay there this year, even as sales continue to rebound. Apple, meanwhile, is beginning to feel the effects of the increased warranty cost that comes in small packages. Totals & Averages: When sales fell, so did warranty costs. But even though sales are rising again, warranty costs are remaining low as a percent of sales. That reflects a change in reliability, and caps a multi-year success story resulting from the increased attention paid to warranties. Automotive OEM Warranties: As sales volumes recover, warranty costs are falling to unbelievably low levels. That's partly a side effect of the dismal truth that there are fewer two- and three-year-old vehicles in use. But it's also proof that those newer vehicles are built better than before and will need less warranty work over time. New Home Builders & RV Makers: Even among the survivors of the Great Recession, warranty costs are now rising to alarming levels. And for some builders, home sales are still falling year-over-year. The result is a state of affairs where warranty work is financed from a shrinking pool of reserves. HVAC & Appliance Warranties: Both claims and accruals have taken a nosedive this year. But that's good news if it's the result of increased quality and reduced cost, rather than merely a symptom of slowing sales. The problem is, it's hard for external observers to tell the difference. Automotive Warranties: GM and Ford are cutting their warranty expenses and closing the gap with both their competitors and their suppliers. And it's beginning to get some notice in the daily newspapers. Truck makers aren't as lucky, but their year-ago figures weren't as dreadful. Annual Warranty Totals & Averages: While claims were up slightly in 2008, both warranty reserves and accruals actually plunged last year. And as sales fall, the percentage of product revenue spent on claims has risen. With no less than 21 charts, we detail the industry totals and averages for the past six years. Warranty Spending in 2006: With the total over $28 billion and climbing, warranty claims reported last year by US-based manufacturers have never been higher. But while some companies pay out more of their sales in warranty claims, others have cut some key ratios significantly. Warranty Claims & Accrual Rates: Half the industry segments follow seasonal patterns, with claims and accrual rates peaking during the same quarter every year. Four segments are following downward trends while two are on upward slopes. But what's most surprising is how small the fluctuations have been over the past 15 quarters. Television Warranties: Bigger is usually better, when it comes to TV warranties. While the old tube TVs are more or less disposable, flat screen vendors usually either fix them in the home or send someone out to pick up the units that fail. And while a year is the most common warranty period, several TV manufacturers issue multi-year warranties on their premium lines. Computer Warranties: While most computers still carry a one-year warranty, some are covered for only 90 days while many office computers still cling to three-year warranty periods. Product Warranty Trends: 2005 is shaping up to be a $27 billion year for the warranty industry, though claims still represent only 1.7% of sales. More than a dozen companies have cut their claims rates. Some manufacturers, however, have seen their claims rates soar into the danger zone. Industry Segments: Year to year, each industry's overall share of warranty claims changes slowly, as do their individual claims rates as a percentage of sales. But because many companies operate in more than one industry, precise calculations are elusive. Skatepark Warranties: Whether they're made of steel, plywood, plastic, or paper, the ramps and rails installed in skateboard parks are sold with a warranty. But whether the warranty lasts for a year or 20 years seems to have more to do with marketing than the strength of the materials used.